Remember when comfortable shoes were reserved solely for octogenarians? Why was that even a thing? Why were our grandparents the only ones allowed to be seen in public wearing footwear that didn’t result in sore arches and balloon-sized blisters? Thankfully, at some point in the last few years, we all came to our collective senses and decided to elevate cushiony, cozy sneakers to the pinnacle of high fashion. And there are no sneakers on the market more cushiony and cozy than the adidas Ultra Boost. Thanks to their snug, soft Primeknit uppers and cloud-like Boost midsoles, these kicks are as easy on your feet as they are on your eyes. 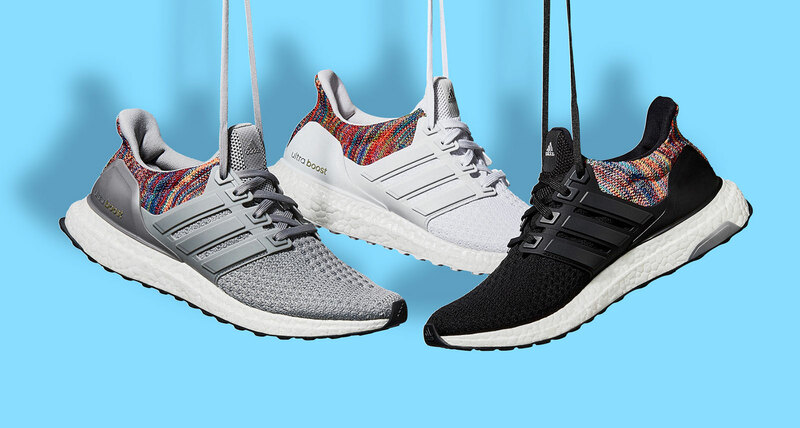 And starting on April 13th, they’ll look even better: adidas will be adding the Ultra Boost to their customizable mi adidas lineup, allowing you to choose from three clean tones with a pop of multicoloured knit around the heel. May the athleisure revolution never end.